Crunchy, salty, sweet, Salted Caramel Rice Krispie Treats are our new snackety snack around here. We have fallen hard for these yummy treats and we know you will too! Don’t share these with the kiddos, hide them away and eat them secretly in the pantry, garage or wherever you do your secret eating. 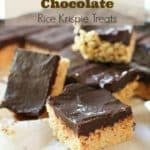 Rice Krispie treats are one of the finer things in life. I just forgot for awhile…. 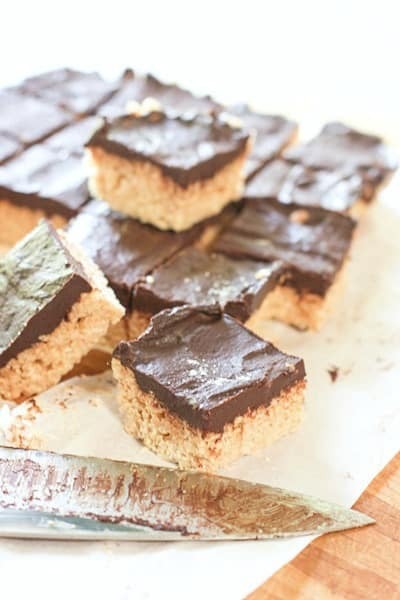 Caramel sauce is added right to the melted marshmallow mixture and the Rice Krispies are topped with a quick cooking chocolate ganache. Don’t let that uppidy ‘ganache’ word scare ya. It’s just warmed up cream and chocolate chips. 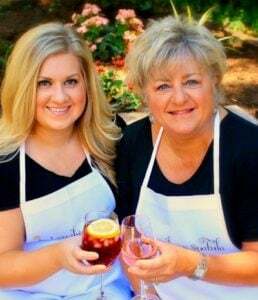 We took them on a picnic with our champagne and red solo cups. We are so fancy ya know. Bring some Oreo’s for the kids…the grown ups will want these all to themselves! Once you make these beauties you will be asked to bring them over and over again….probably better not to share. Your little secret…. You can see all of our desserts HERE. A couple of our favorites are these Easy Pineapple Bars (with video) and these Easy Blueberry bars. Both made with the same basic recipe, just different filling! 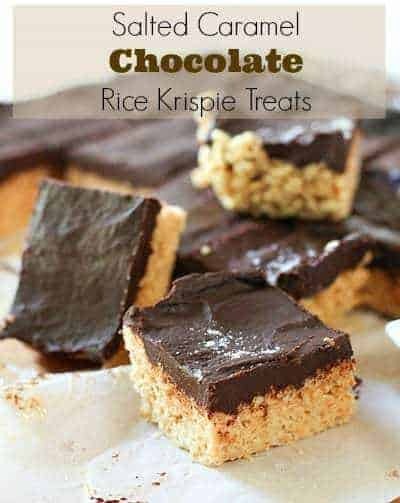 These decadent rice krispie treats are too good for the kiddo's! Store bought caramel sauce is mixed in with the marshmallows to make a super salty sweet treat! In large pot, melt butter and marshmallows. Add jar of caramel sauce and stir. Add Rice Krispies and stir well. Using the back of a tablespoon that has been buttered. Smooth out the treats. In medium saucepan bring cream just to the boiling point. Edges should be bubbling. Remove from heat. Add chocolate chips and whisk until well combined. 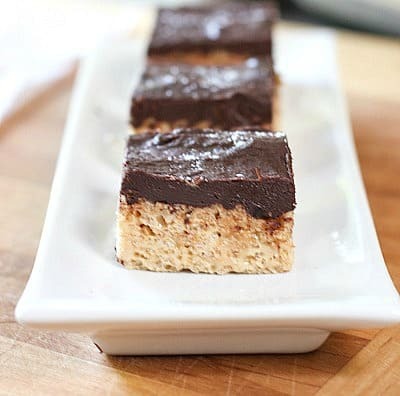 Let cool 10 minutes and pour onto krispie treats. Cool in refrigerator until firm. About 1 hour, sprinkle with sea salt and slice!